I guess I have to accept the fact that summer is over in just two days. exercise walks, lounging by the pool and all of the fresh berries and garden veggies. Oh and the zinnias. I'm really going to miss them! But on the bright side it is pumpkin, scarf, boots and soup season. So yay for that! 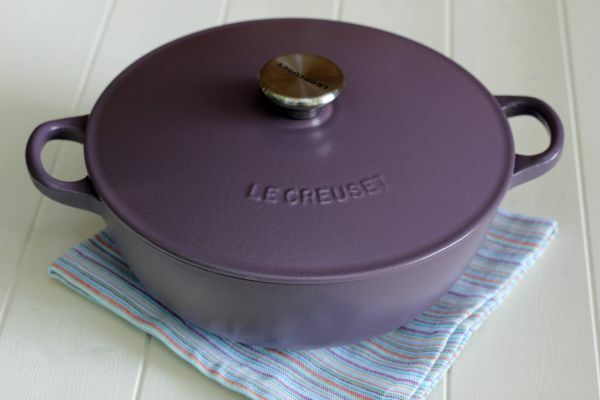 Speaking of soup, can I tell you how much I LOVE my Le Creuset soup pot! It's the most beautiful color of amethyst and it makes me want to make soup all the time! first soup recipe of the season. 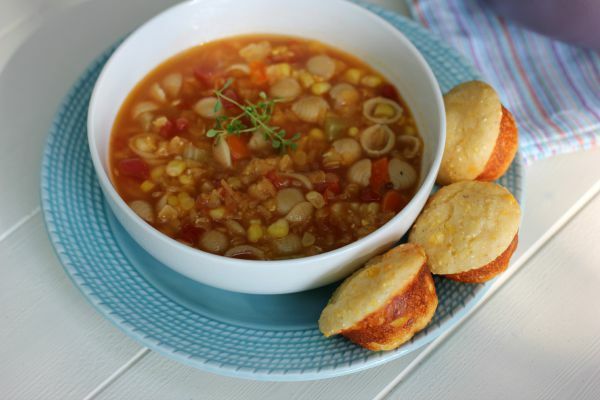 Lentils are full of fiber and protein and so good for you! This was my first time using red lentils, normally I go for green or brown varieties. 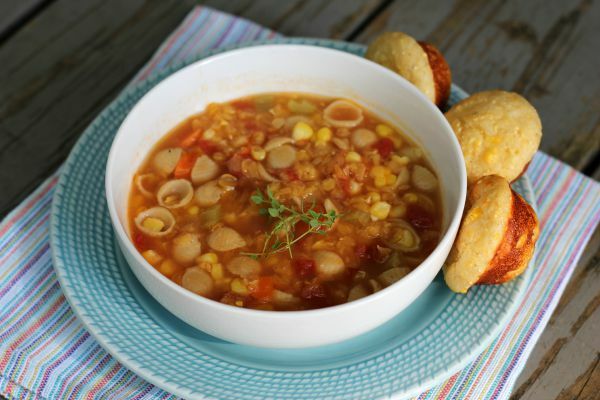 Red lentils seem to taste slightly sweeter and nuttier than brown or green lentils. I can't wait to try them in some other recipes. 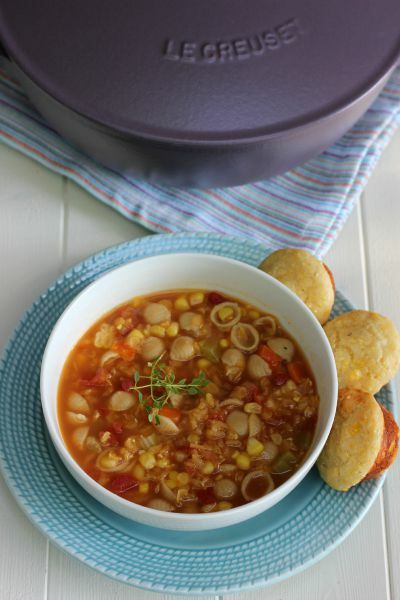 Want to know what goes great with lentil soup? Corn muffins! fall and winter months! Goodbye summer. I will miss you! Heat oil in a soup pot over medium heat. Add the onion, carrots and celery. 5 to 8 minutes. Add the canned tomatoes and lentil, mixing to combine. and bay leaves before serving. Preheat oven to 425 degrees. Spray mini muffin pan with cooking spray. and baking soda. In a small bowl combine egg, yogurt and vanilla. kernels. Using a small cookie scoop, fill muffin cups with batter. Bake 8-10 minutes or until a toothpick inserted comes out clean. 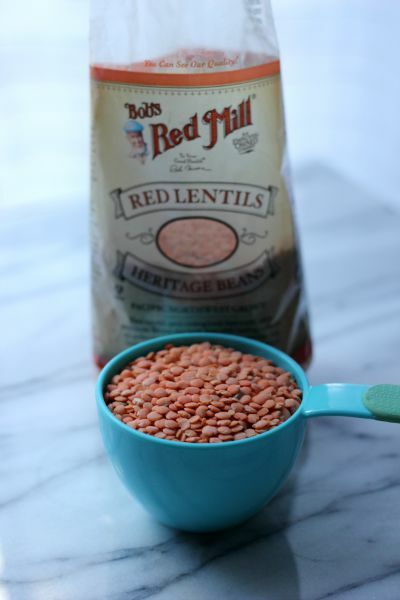 This post was created in partnership with Stonyfield and Bob's Red Mill. 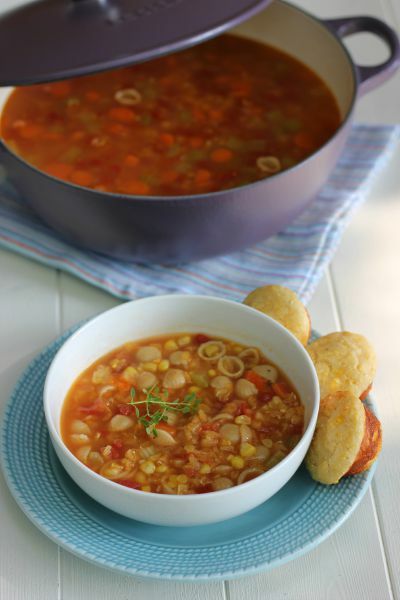 This healthy soup is perfect for the fall!! I made it this week and I've been enjoying it all week!